Product prices and availability are accurate as of 2019-04-22 22:59:32 UTC and are subject to change. Any price and availability information displayed on http://www.amazon.com/ at the time of purchase will apply to the purchase of this product. With innovative designs and contemporary finishes, Oggiâ€TMs kitchen and bathwares are truly tomorrowâ€TMs housewares. 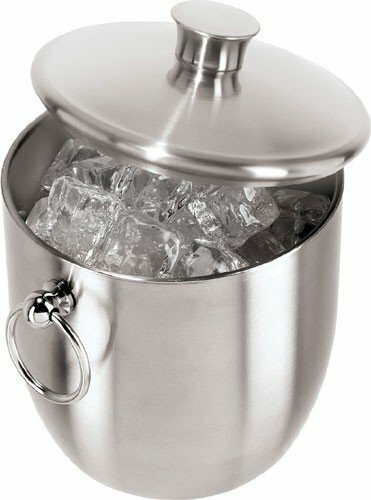 Oggiâ€TMs double walled stainless steel ice bucket with tongs is no exception. This attractive cooler will keep your wine or champagne cool with style. Bucket has side rings so itâ€TMs easy to move, even when itâ€TMs full. Double wall, keeps your wine cool, longer. Do not use abrasives when cleaning. Hand wash.